Agriculture on the farm goes as far back as anyone can remember. The picturesque bank barn dates back to 1837, but the Tait legacybegan in 1950 when Marian and Elton purchased the land. The two prodigal sons returned home in the late 1970’s and that is when the farm really began its agricultural transformation. David and John Tait had a vision to make the family farm into a sustainable enterprise. Committed to working in harmony with nature, they set out raising more Christmas trees and Basset hounds, as well as planting disease-resistant apples, raspberries and asparagus. Thirty years later, the dream still lives on the land. And although it has changed over the years, there are now 25 acres of Christmas trees and 10 acres in organic fruit and vegetable production. 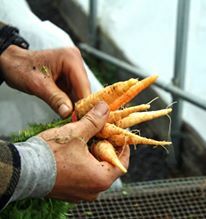 Community Harvest is our certified organic, farm-fresh produce membership. It is part of a larger agricultural movement known as Community Supported Agriculture (CSA). 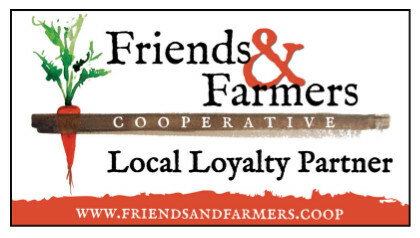 In essence, it is a mutual relationship where the farm supports a community of people by growing fresh produce and in return, this community supports the farm by purchasing memberships. 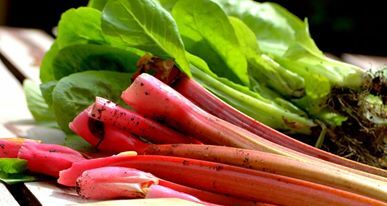 There are many different CSA models of distribution and here at Tait Farm, members come to the farm on a weekly basis to collect their share of the harvest. Community Harvest began in the spring of 2000 and was honored with the Chamber of Business and Industry of Centre County (CBICC) 2011 Quality of Life Award. more than 20 years we have been creating specialty food products on the farm, and it is our pleasure to offer them to you here. We pride ourselves on the quality and integrity of these foods. Our goal is to have everything we make taste simply delicious! All our products are made by hand in small batches and we use only natural ingredients. And trust us, you can really tell (or taste) the difference! Many of Tait Farm Foods products also have delectable recipes, so be sure to visit the Tait Farm Foods recipe page. We hope you will enjoy and savor our creations so much that you will want to share ourGifts of Good Taste with others. Consider sending a Tait Farm Foods Gift Collection for your next gift giving occasion. You can also find Tait Farm Foods on FACEBOOK!